From 7 December to 6 January, on promenade Albert 1er overlooking the port, Monaco's annual Village de Noel. The area is transformed into a Christmas village with chalets selling crafts and regional food and drink specialities. Also, a traditional carousel, ice rink, kiddies' train ride, craft workshops, street entertainers and family shows. 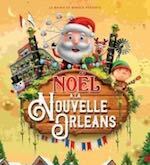 The Christmas village has been organized by the Service Animation of the Mairie de Monaco since 1999. For more information phone +377 93 15 06 02, email animation[at]mairie.mc, and visit the organizer's website at: Mairie de Monaco: le village de Noel. From 7 December to 3 March, an ice rink is installed over the Stade Nautique outdoor pool, with skating and ice-karting every evening. For more information phone +377 93 30 64 83. On Sundays 9 Dec, 13 Jan, 27 Jan, 3 Feb and 24 Feb, model car racing with Mc Clic.